Military Tattoo Germany 2018 Magdeburg Was Hess Murdered ? Bevin Boys were young British men conscripted to work in the coal mines of the United Kingdom, between December 1943 and March 1948. Chosen by lot as ten percent of all male conscripts aged 18–25, plus some volunteering as an alternative to military conscription, nearly 48,000 Bevin Boys performed vital and dangerous, but largely unrecognised service in coal mines. 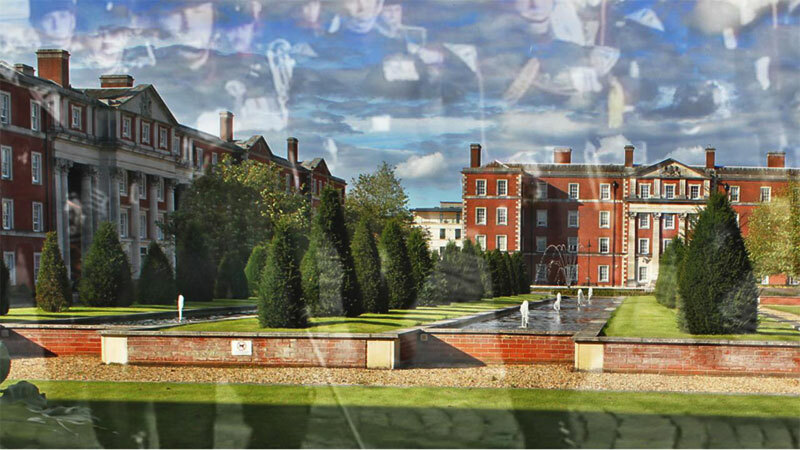 Many of them were not released from service until well over two years after the Second World War ended. The programme was named after Ernest Bevin, a former trade union official and then British Labour Party politician who was Minister of Labour and National Service in the wartime coalition government. At the beginning of the war the Government, underestimating the value of strong younger coal miners, conscripted them into the armed forces. By mid-1943 the coal mines had lost 36,000 workers, and they were generally not replaced, because other likely young men were also being conscripted to the armed forces. The government made a plea to men liable to conscription, asking them to volunteer to work in the mines, instead, but few responded, and the manpower shortage continued. We need 720,000 men continuously employed in this industry. This is where you boys come in. Our fighting men will not be able to achieve their purpose unless we get an adequate supply of coal. From 1943 to 1945 one in ten of young men called up was sent to work in the mines. 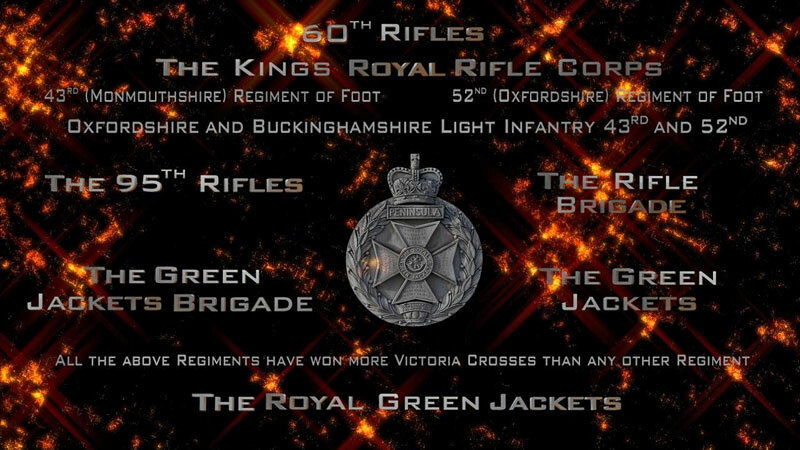 This caused a deal of upset, as many young men wanted to join the fighting forces and felt that as miners they would not be valued. Many Bevin Boys suffered taunts as they wore no uniform, and there accusations by some people that they were deliberately avoiding military conscription. 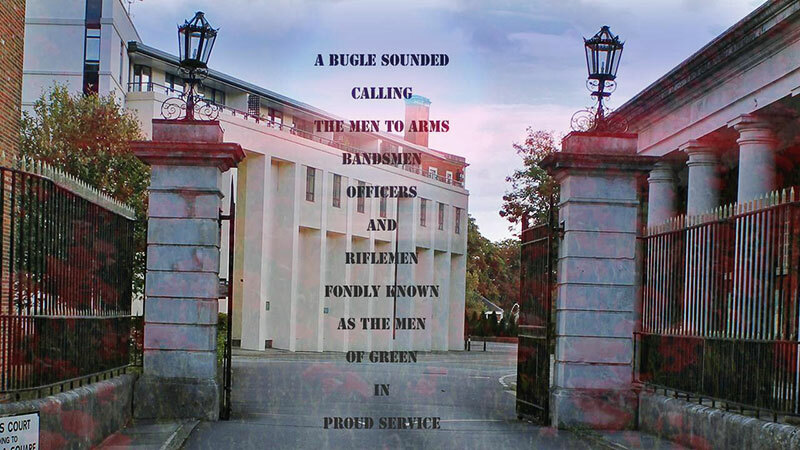 To make the process random, one of Bevin’s secretaries each week, from 14th December 1943, pulled a digit from a hat containing all ten digits, 0–9, and all men liable for call-up that week whose National Service registration number ended in that digit were directed to work in the mines, with the exception of any selected for highly skilled war work such as flying planes and in submarines, and men found physically unfit for mining. Conscripted miners came from many different trades and professions, from desk work to heavy manual labour, and included some who might otherwise have become commissioned officers. The Bevin Boys were first given six weeks’ training (four off-site, two on). The work was typical coal mining, largely a mile or more down dark, dank tunnels, and conscripts were supplied with helmets and steel-capped safety boots. Bevin Boys did not wear uniforms or badges, but the oldest clothes they could find. Being of military age and without uniform caused many to be stopped by police and questioned about avoiding call-up. Since a number of conscientious objectors were sent to work down the mines as an alternative to military service (under a system wholly separate from the Bevin Boy programme), there was sometimes an assumption that Bevin Boys were “Conchies”. There are thousands of cases in which conscientious objectors, although they may have refused to take up arms, have shown as much courage as anyone else in Civil Defence. The Bevin Boy programme was wound up in 1948. At that time the Bevin Boys received neither medals nor the right to return to the jobs they had held previously, unlike armed forces personnel. Bevin Boys were not fully recognised as contributors to the war effort until 1995, 50 years after VE Day, in a speech by Queen Elizabeth II. On 20th June 2007, Tony Blair informed the House of Commons during Prime Minister’s Questions that thousands of conscripts who worked down mines during the Second World War would receive an honour. The prime minister told the Commons the Bevin Boys would be rewarded with a Veterans Badge similar to the HM Armed Forces Badge awarded by the Ministry of Defence. The first badges were awarded on 25 March 2008 by the then Prime Minister, Gordon Brown, at a reception in 10 Downing Street, marking the 60th anniversary of discharge of the last Bevin Boys. Historic responsibility within government for the Bevin Boys lies with the Department for Business, Energy and Industrial Strategy. ? The Bevin Boys Association is trying to trace all 48,000 Bevin Boy conscripts, optants or volunteers who served in Britain’s coal mines during and after the war, from 1943 to 1948. 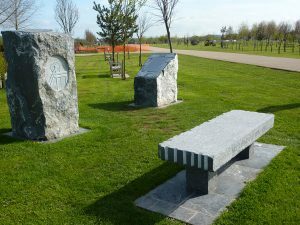 On Tuesday 7th May 2013, a memorial to the Bevin Boys, based on the Bevin Boys Badge, was unveiled by the Countess of Wessex at the National Memorial Arboretum at Alrewas, Staffordshire. The memorial was designed by former Bevin Boy Harry Parkes; it is made of four stone plinths carved from grey Kilkenny stone from the Republic of Ireland. The stone should turn black like the coal that the miners extracted.